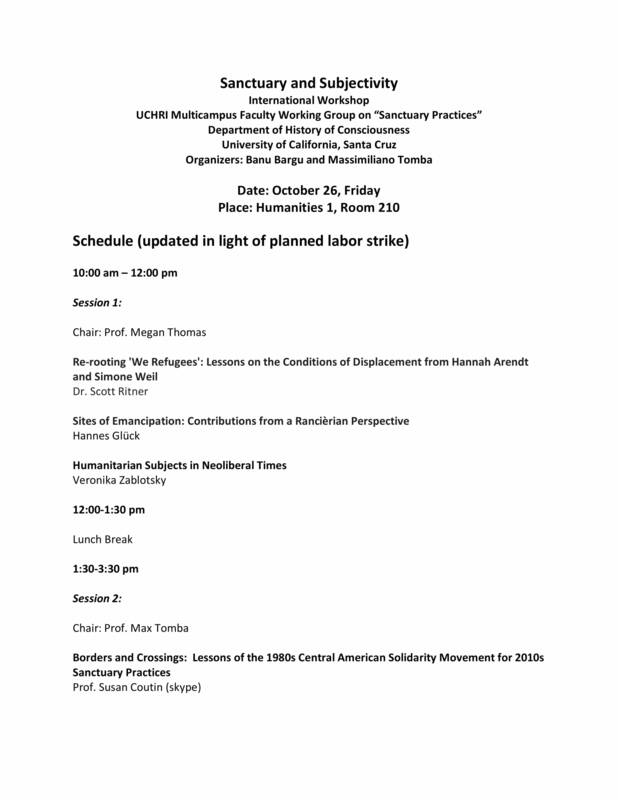 Our International Sanctuary and Subjectivity workshop will now be a 1-day event (10/26/18), with our Keynote speaker session taking place 10/26/18 at 4 PM in Humanities 1, Room 210, following the full day of workshops. 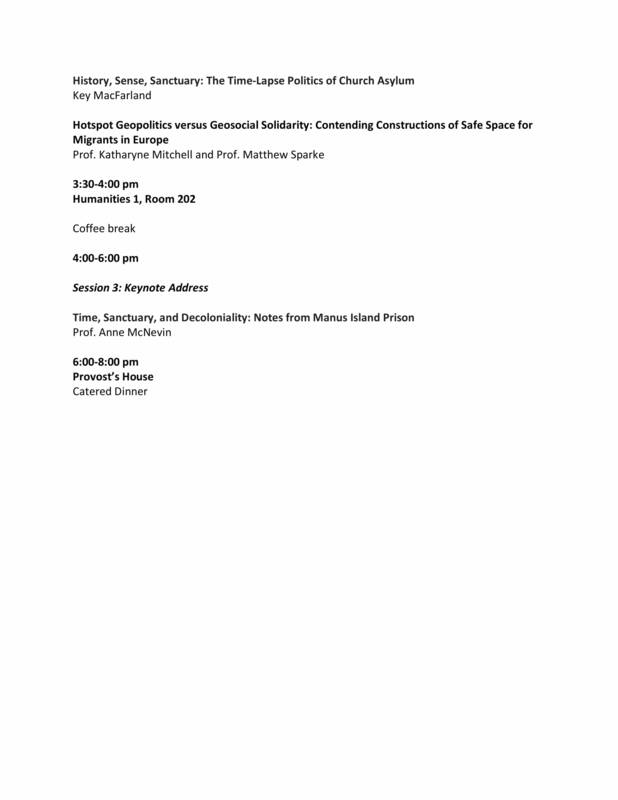 Please see the attached, updated agenda for more information. We look forward to seeing your this Friday for this incredible event! 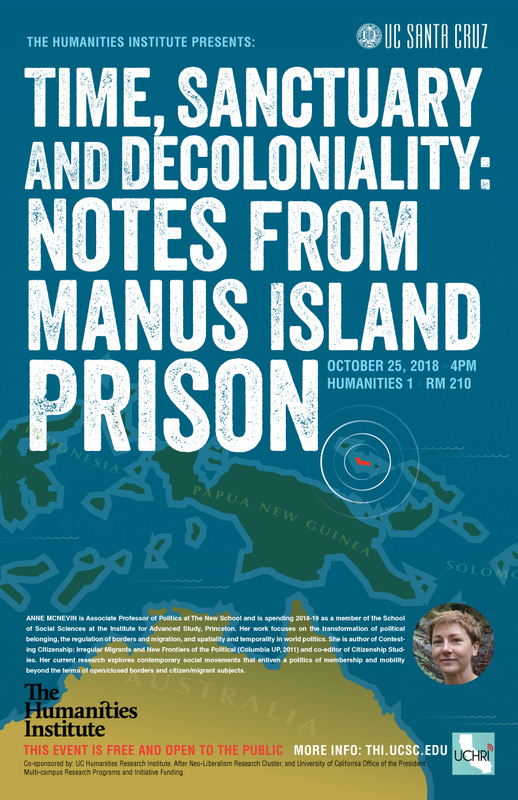 Beginning at 10 AM on October 26th will be a full day of workshops broken up into three sessions, ending with a Keynote address from Prof. Anne McNevin, "Time, Sanctuary and Decoloniality: Notes from Manus Island Prison." This address will be taking place on October 26th, from 4-6PM in Humanities 1, Room 210. Please see the agenda and promotional materials below for more information!